Neurons transmit information to one another through electrochemical signals. They make up the motor nerves that allow you to type an essay, the sensory nerves that let you feel a fluffy dog, and your brain, allowing to remember the content of this module. They have a number of helper cells, ranging from astrocytes, to microglia, to ependymal cells as well. John Moynihan held up his end of the bargain, but John couldn’t lead the Verona Area Wildcats Varsity past Janesville Parker as the Verona Area Wildcats Varsity lost 4-1 in seven innings on Tuesday. Janesville Parker couldn’t get anything going as long as John was pitching. Janesville Parker managed just one hit off of Moynihan, who allowed no earned runs, walked none and struck out two during his three innings of work. Collin Powers got the win for Janesville Parker. He allowed one run over seven innings. He struck out three, walked five and surrendered one hit. Ryan Pynnonen was charged with the loss. He lasted just three innings, walked five, struck out two, and allowed four runs. In the bottom of the second, Janesville Parker grabbed the early lead, 1-0. Mitch Benway singled to start things off before Brock Welch doubled, plating Mitch. The game was never in doubt after the third, as Janesville Parker scored two runs on an RBI single by Will Theisen. An impressive two-way performance from John Moynihan led the Verona Area Wildcats Varsity to a 8-4 win Tuesday over Stoughton, as John came up huge at the dish and on the bump. John racked up two RBIs on one hit for the Verona Area Wildcats Varsity. He doubled in the fifth inning. Stoughton had no answer for John, who kept runners off the basepaths in his appearance. Moynihan gave up just one hit, allowed no earned runs, walked one and struck out five during his 2 2/3 innings of work. The game was back-and-forth heading into the fifth, with four lead changes. The Verona Area Wildcats Varsity took the lead in the fifth inning and held on for the victory. The Verona Area Wildcats Varsity went up for good on a two-run double by John off Josh Eugster, plating Sam Favour and Ben Rortvedt. Keaton Knueppel got it done on the mound on the way to a win. He allowed four runs over 4 1/3 innings. Keaton struck out five, walked three and gave up seven hits. The bottom of the first saw Stoughton take an early lead, 2-0. PJ Rosowskihomered, plating Chris Lund after a single by Chris got things started. Stoughton got one-run rallies in the third inning and the fifth. In the third, Stoughton scored on an RBI single by Alex Zacharias, scoring Chris. John Moynihan was strong at the plate and on the rubber in carrying the Verona Area Wildcats Varsity to a 5-4 victory over Beloit Memorial on Thursday at Stampfl Field. John had two extra-base hits for the Verona Area Wildcats Varsity. He singled in the sixth inning and doubled in the first and eighth innings. John baffled Beloit Memorial, striking out nine batters. John allowed three earned runs on two hits and three walks over 5 1/3 innings. The game was back-and-forth heading into the eighth, with five lead changes. The Verona Area Wildcats Varsity finally managed to grab the lead after a strong eighth inning. A groundout by Ryan Pynnonen scored Jeffrey Reinholtz and gave the Verona Area Wildcats Varsity the lead for good. Keaton Knueppel got it done on the hill on the way to a win. He allowed one run over 2 2/3 innings. He struck out four, walked none and surrendered four hits. The Verona Area Wildcats Varsity were sparked by Ben Rortvedt and John, who teamed up for five hits and two RBIs. Armann Cabrera took the loss for Beloit Memorial. He lasted just two innings, walked two, struck out three, and allowed two runs. In the bottom of the first, the Verona Area Wildcats Varsity grabbed the early lead, 2-0. John doubled, scoring Ben after a single by Ben got things started. The Verona Area Wildcats Varsity pushed more runs across when Schmid scored on an RBI single by Jeffrey. The Verona Area Wildcats Varsity answered Beloit Memorial’s top inning with two runs of their own in the eighth. John Moynihan went 2-4, sparking the Verona Area Wildcats Varsity to a 4-1 victory in seven innings over Monona Grove on Friday at Fireman’s Park. Keaton Knueppel got the win for the Verona Area Wildcats Varsity thanks to 13 strikeouts. Keaton allowed one earned run on five hits and no walks over six innings. Jason Beilke ended up on the wrong side of the pitching decision, charged with the loss. He lasted just seven innings, walked three, struck out five, and allowed four runs. Verona Area Wildcats Varsity closer Ryan Pynnonen put away the final three outs to record the save. The Verona Area Wildcats Varsity never trailed after scoring one run in the first on an RBI single by John. The Verona Area Wildcats Varsity added two more runs in the top of the third. The inning got off to a hot start when John doubled, plating Sam Favour. Monona Grove scored its only run of the game on an RBI single by Jordan Gerothanas in the sixth inning. John Moynihan powered the Verona Area Wildcats Varsity at the plate and on the hill Thursday, willing the Verona Area Wildcats Varsity to a 11-0 victory over Madison West. John racked up three RBIs on two hits for the Verona Area Wildcats Varsity. He singled in the fourth inning and doubled in the fifth inning. The Verona Area Wildcats Varsity’s John kept Madison West off the scoreboard for all five innings he was on the bump. He pitched a shutout, allowing no opposing players to cross the plate on three hits while ringing up five. The Verona Area Wildcats Varsity blew out Madison West thanks to 14 hits, including four extra base hits. 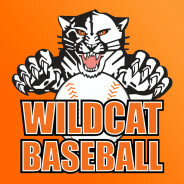 The Verona Area Wildcats Varsity scored four runs in the fourth on the Verona Area Wildcats Varsity scored in the fourth on an RBI single by Troy Granick, a two-run double by Ben Rortvedt, and an RBI single by Keaton Knueppel. Simon Rosenblum Larson ended up on the wrong side of the pitching decision, charged with the loss. He lasted just three innings, walked none, struck out two, and allowed four runs. The Verona Area Wildcats Varsity never trailed after scoring three runs in the first on a sacrifice fly by Keaton and a two-run single by Jeffrey Reinholtz. Collin Powers got it done on the hill on the way to a win. He allowed three runs over five innings. Collin struck out six, walked seven and gave up three hits. Janesville Parker was sparked by Logan Coulter and Collin, who teamed up for four hits and seven RBIs. John Moynihan took the loss for the Verona Area Wildcats Varsity. He allowed eight runs in six innings, walked three and struck out seven. The top of the second saw the Verona Area Wildcats Varsity take an early lead, 1-0. The Verona Area Wildcats Varsity scored one run in the third inning, and then followed it up with one more in the fifth. In the third, the Verona Area Wildcats Varsity scored on a walk by John, plating Troy Granick. The game’s last lead went to Janesville Parker thanks to a third inning rally that saw five runs cross the plate on a home run by Collin and an RBI single by Logan. It didn’t take long for Janesville Parker to respond as it scored one run of its own in the fifth. Janesville Parker scored on an RBI single by Collin. Janesville Parker added two more runs in the bottom of the sixth. A single by Cullen Osmond ignited the offense,, bringing home Brock Welch. That was followed up by Logan’s triple, plating Cullen. Troy Granick did all he could to give the Verona Area Wildcats Varsity a boost, but it wasn’t enough to get past Madison East, as the Verona Area Wildcats Varsity lost 9-5 in six innings at Stampfl Field on Tuesday. Troy got on base three times in the game for the Verona Area Wildcats Varsity. He scored two runs and had one RBI. He singled in the second inning. Even though Cameron Cratic allowed five runs over 5 1/3 innings he still recorded the victory. He struck out one, walked three and surrendered five hits. Declan Baggot, Cameron and Donovan Tomony helped lead Madison East. They combined for six hits and three RBIs. Ryan Pynnonen ended up on the wrong side of the pitching decision, charged with the loss. He allowed seven runs in one inning, walked one and struck out two. Madison East jumped out to an early 2-0 lead in the top of the first. Madison East caught fire after Declan doubled. Then Cameron singled, scoring Declan. Madison East then tacked on more runs when Cratic scored on an RBI single by Donovan. The Verona Area Wildcats Varsity survived Madison East’s surge and put up two runs of their own in the first. The Verona Area Wildcats Varsity scored on a two-run error. Madison East went up for good in the second, scoring five runs on two singles and. Madison East matched its one-run third inning with one more in the sixth. In the third, Madison East scored on a sacrifice fly by Zach Zilm, bringing home Sean Baggot. Tekoa Whitehead did his best to change the outcome, but Tekoa couldn’t carry the Verona Area Wildcats Varsity past Beaver Dam as the Verona Area Wildcats Varsity lost 4-3 in seven innings at Beaver Dam High School on Friday. Tekoa had an impressive outing against Beaver Dam’s lineup. Tekoa held Beaver Dam hitless over 1 2/3 innings, allowed no earned runs, walked one and struck out three. Quinn McCallum got the win in relief for Beaver Dam. Quinn pitched 2 2/3 innings and allowed no runs. Jake Toman took the loss for the Verona Area Wildcats Varsity. He lasted just 4 1/3 innings, walked two, struck out one, and allowed four runs. The bottom of the second saw Beaver Dam take an early lead, 1-0. Quinn got things going for Beaver Dam with a single. A groundout by Ryan Kaul then moved Quinn from first to third. Beaver Dam pushed one run across in each of the third, fourth and fifth. In the third, Beaver Dam scored on an RBI single by Ryan, scoring Matt Berg. The game was never in doubt after the fifth, as Beaver Dam scored one run on an RBI single by Sam White. 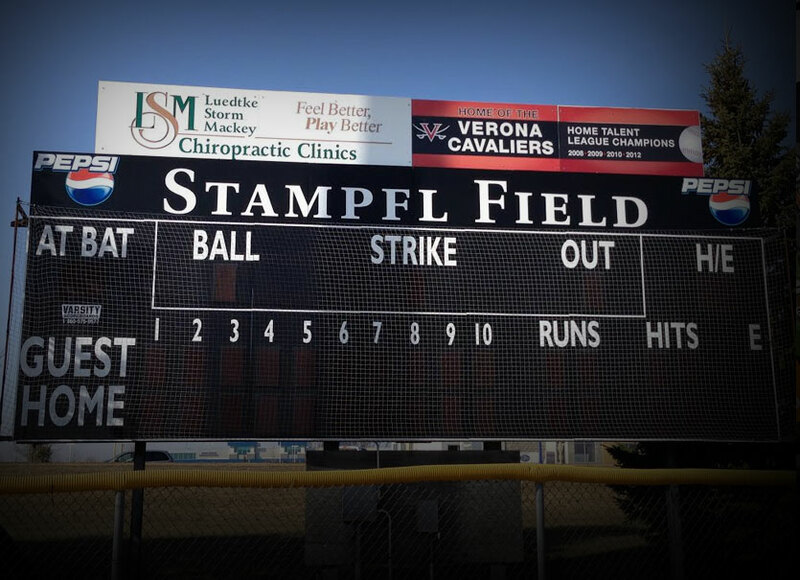 Not even a strong hitting and pitching performance from Connor Volker could carry the Verona Area Wildcats Varsity past Middleton at Stampfl Field on Tuesday as the Verona Area Wildcats Varsity suffered a 9-4 defeat. The Verona Area Wildcats Varsity were led by Connor’s hitting. Connor went 2-4 and scored one run. He doubled in the second inning and singled in the fourth inning. Connor showed great command of his pitches, allowing no walks. The Verona Area Wildcats Varsity’s pitcher pitched five innings, allowing one earned run and six hits while striking out one. Garrett Knudtson got the win for Middleton. He allowed four runs over seven innings. Garrett struck out four, walked three and gave up 14 hits. Middleton’s Jordan Lueck, Jackson Keeler, Luke Schafer and Joe Ludwig combined for nine hits and five RBIs. Keaton Knueppel took the loss for the Verona Area Wildcats Varsity. He lasted just two innings, walked one, struck out one, and allowed five runs. The top of the first saw Middleton take an early lead, 1-0. Jackson started the rally for Middleton with a single. A single by Luke then moved Jackson from first to second. Elliot Tanin singled, bringing home Jackson. The Verona Area Wildcats Varsity quickly matched Middleton’s strong inning with a one-run inning of their own in the first. The Verona Area Wildcats Varsity scored on an RBI single by Keaton. Middleton didn’t relinquish the lead after scoring four runs in the second inning when it scored on an RBI double by Jackson, an error, a sacrifice fly by Kasey Miller, and an RBI single by Luke. The Verona Area Wildcats Varsity scored one run in each of the second, fourth and seventh. In the second, the Verona Area Wildcats Varsity scored on a groundout by Jake Toman, scoring Connor. Middleton tacked on another three runs in the third. Jackson singled, bringing home Brennan Maly to start the inning. One run in the bottom of the seventh helped the Verona Area Wildcats Varsity close their deficit to 9-4. An error gave the Verona Area Wildcats Varsity life. Middleton closed the game out when Garrett got Connor to fly out. After posting an 11-6 record thus far, the Wildcats earned a #3 seed in their section of the WIAA tournament. The #3 seed earned the Wildcats a bye in the first round of the regional semifinals. They will host the winner of the #11 Elkhorn versus #6 Beloit Memorial game in the regional finals. 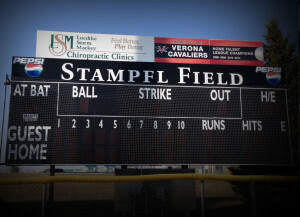 The game will be on Thursday June 5th at Stamplf Field in Verona.